A Bench of Justice A.K. Patnaik and Justice F.M.I. Kalifulla yesterday ordered probe into the allegations leveled against 13 persons whose names were submitted by the Justice Mudgal Committee, earlier this year. The bench rejected BCCI’s application to conduct the investigation by an internal panel which comprised of former India captain Ravi Shastri, CBI director RK Raghavan and former Calcutta High Court chief Justice JN Patel, following objection by the petitioner and Cricket Association of Bihar chief Aditya Verma. 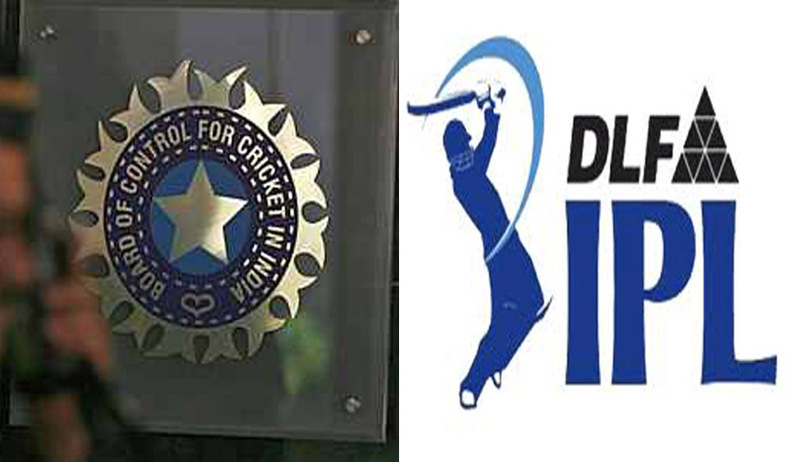 The report had referred to allegations against 13 persons including Mr. N. Srinivasan, the President of the BCCI. The allegations in the second report of the Mudgal Committee were submitted in sealed cover so as not to sully the reputation of any innocent person. The Bench was of the view that the investigation should be carried on by the Justice Mudgal Committee and the team of investigators because if a new Probe Committee is entrusted to inquire into the allegations, there is likelihood of the allegations being leaked to the public and such leakage will damage the reputation of the 13 persons beyond repair. Mudgal Committee will be assisted in the investigation by Shri B.B. Mishra, IPS (Retired); an officer from Mumbai Police (preferably not below the rank of Assistant Commissioner of Police); an officer from Chennai Police (preferably not below the rank of Assistant Commissioner of Police); an officer from Delhi Police (preferably not below the rank of Assistant Commissioner of Police); and a former cricketer of repute and integrity. Shri B.B. Mishra and the other officers of the investigating team will have the powers to investigate, require attendance of witnesses, the power to examine witnesses, the power to search and the power to seize and all other powers necessary for investigation except the power to arrest and the source of these powers of investigation will be this order passed by this Court. Name of Shri M.L. Sharma was in fact submitted in place of Shri B.B. Sharma. However, due to objections by the BCCI, he was replaced by Mishra. This sparked a sharp rebuttal from Sharma who reportedly asserted that, “the BCCI didn't want a tough man like me and therefore I am not there in the new panel." "It is unfortunate that in our country the investigating agencies and investigators are objected by the people..."
In response to this, two separate Special Leave Petitions, challenging the order, were filed by the Cricket Association and BCCI. After looking into both the SLPs, the Supreme Court in 2013 had passed an order constituting a probe committee comprising of Mr. Justice Mukul Mudgal, retired Chief Justice of Punjab & Haryana High Court, as Chairman; Mr. L. Nageshwar Rao, Senior Advocate and Additional Solicitor General, as Member; and Mr. Nilay Dutta, Senior Advocate, Gauhati High Court, as members. This committee, termed as Justice Mudgal Committee was to inquire into the allegations and involvement of betting and spot fixing in the IPL matches against Mr. Gurunath Meiyappan, allegedly the Team Principal of Chennai Super Kings and the players and the allegations against the team owner of the IPL Franchise Rajasthan Royals. Two reports were submitted by this committee. The first report concluded that the role of Mr. Gurunath Meiyappan in Chennai Super Kings as the team owner as well as the allegations of betting and passing on information against him stands proved but the allegations of spot-fixing requires further investigation. Also, according to the report, similar allegations against Raj Kundra, team owner of Rajasthan Royals, needed further investigation. The apex court however found that the allegations [in the second report, against the 13 persons] have relevance to the subject-matter of PIL No.55 of 2013 and require to be verified and investigated before the civil appeals arising out of the impugned judgment of the High Court are finally heard and disposed of. The Committee is directed to file the report with the Supreme Court in August, 2014 in a sealed cover directing that the Members of the Committee and the investigation team will not reveal anything regarding the investigation to others and the media and will maintain absolute confidentiality. The matter will now be heard in the first week of September. The court also directed Mr. Sunil Gavaskar and Mr. Shivlal Yadav to continue to exercise the powers of the President of the BCCI, deciding to keep N Srinivasan out of the BCCI’s affairs. Read the livelaw story here. It also directed the BCCI, Srinivasan and the cricket players to co-operate with the investigation in all respects. Read more news about the IPL spot-fixing allegations here.